I am pretty sure most of you are familiar or have seen this new indie brand, Shimmer Polish, the maker behind this brand is very talented, I have seen some some of the best glitter combinations come out from this shop. 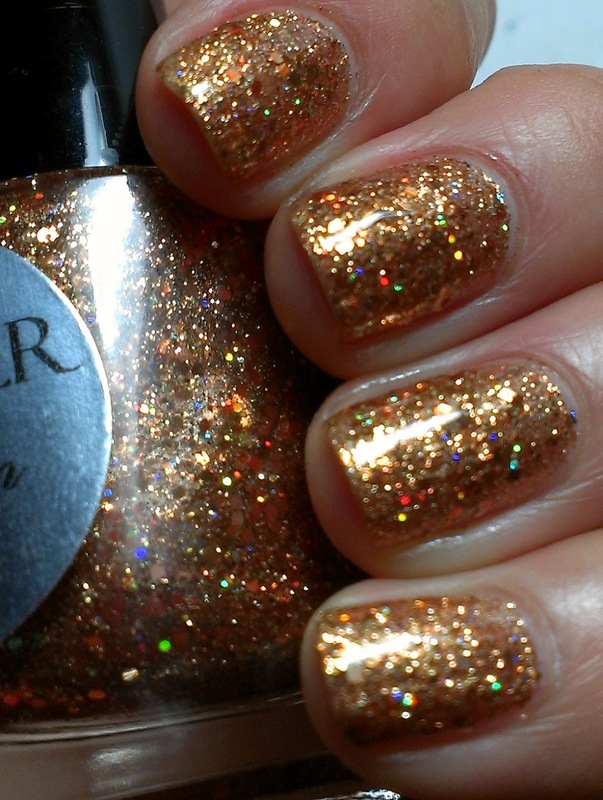 If you are a Glitter LOVER, you will be in heaven with her creations. 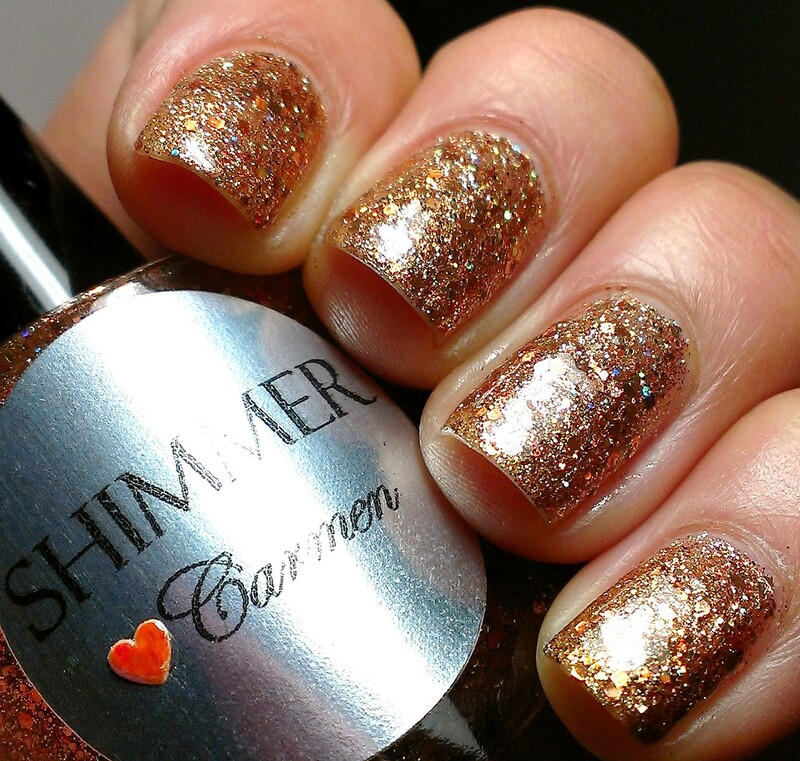 This is Carmen, 2 layers of pure perfection, very impressed with the formula and coverage. 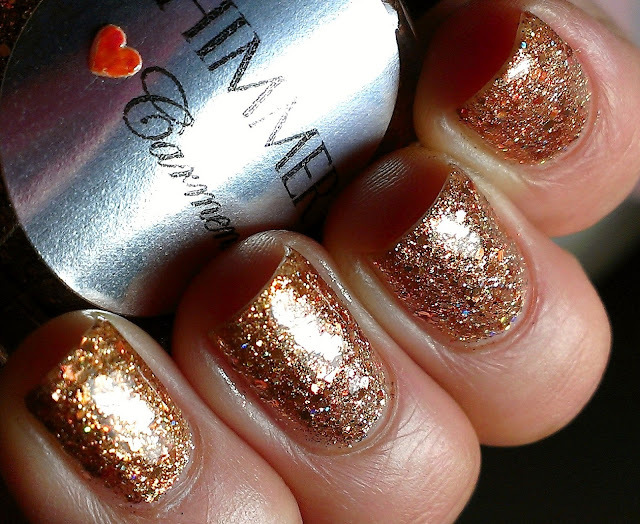 It has a light copper base with copper and holographic glitter which really stands out. I didn't try layering this as you can reach full coverage with almost 1 coat, but might have to try some layering in the future. 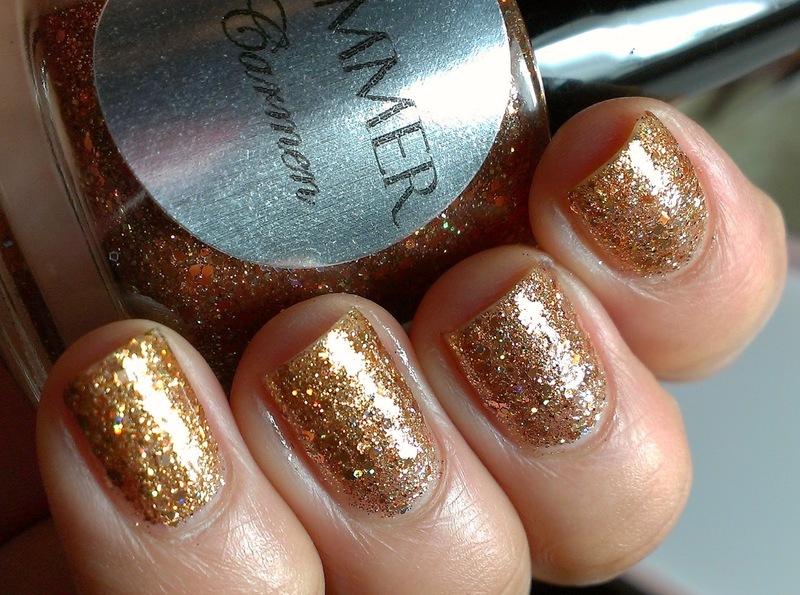 Look at all that holo glitter, this is simply stunning!!!! Prettty!! 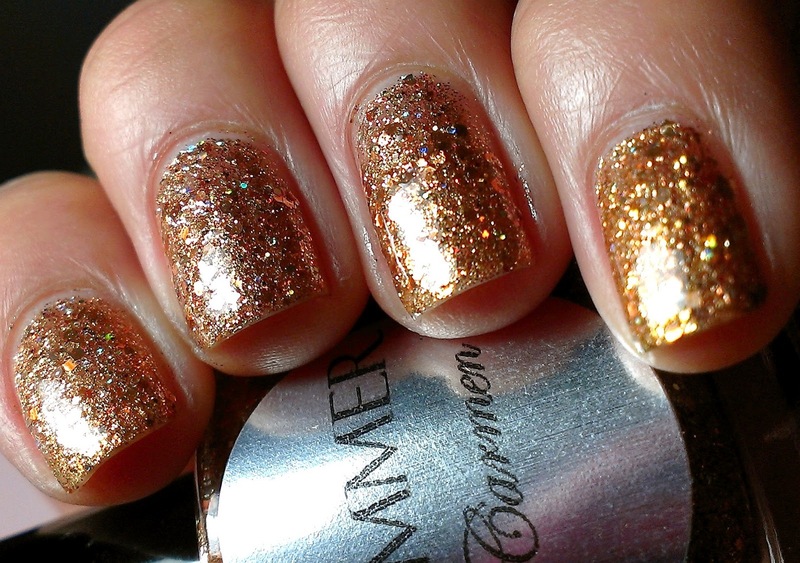 I'm in love with all these copper holo glitters that I have been seeing lately. Didn't know the brand, believe it or not. Oh wow, this is very pretty, and it looks gorgeous on you! It's super sparkly! I love it! now thats my kind of gold glitter! Beautiful! I will have to go check her out! Those are simply stunning!!! Love it! You are still killing it with your posts!!! omg this is amazing!! It's soooo sparkly!! i absolutely love it ! your nails are beyond perfect bish! I'm a sucker for gold glitters and this one's magic with the added holo! Oh wow, what a unique color! Ohhhh I looooove the tone of this gold! & The polish itself.